Home / IT&Software / Horizon Zero Dawn 2 leaked by actress Janina Gavankar? This is hardly news we didn't see coming, but Janina Gavankar, who some of you will know voices Iden Versio, protagonist of Star Wars Battlefront II, appears to have let slip that there is a sequel now in development for Guerilla Games' smash hit Horizon Zero Dawn. Gavinkar was brought onto Horizon Zero Dawn within the title's DLC, The Frozen Wilds. Star Wars Celebration started yesterday and will be going on until April 15th. 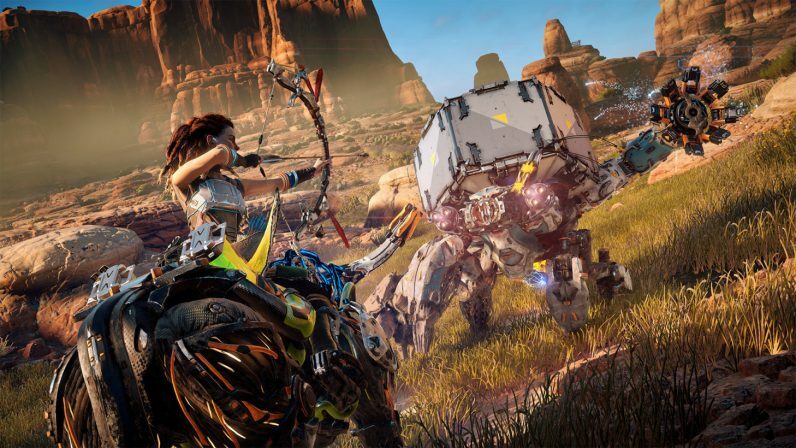 A live Twitch stream was being recorded and a clip was immediately captured when the conversation about a new Horizon Zero Dawn game happened. It was clipped and posted on Reddit, but it appears the clip has since been removed. The fan thanked her for turning her onto Horizon and Gavankar replied with "Just wait until you see the sequel, you're gonna die. You're gonna die - I know some secrets! - you're gonna die", she said after the cosplayer told her that Gavankar got her into playing Horizon. Otherwise, how else could she be relegated to exactly what the match is doing and exactly what its secrets are? Her role in Horizon Zero Dawn was pretty minor.